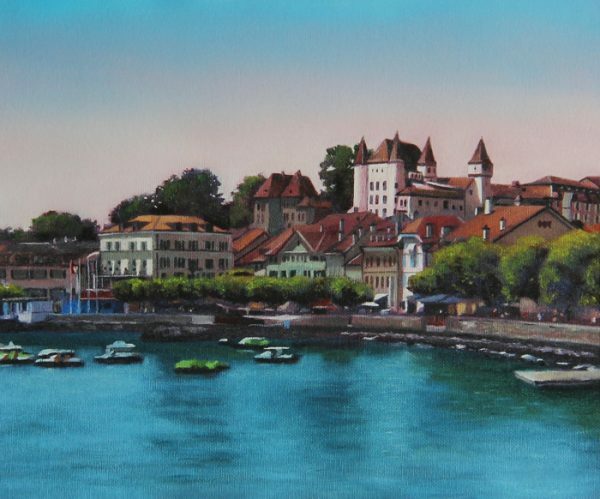 High quality, fine art giclée print on smooth cotton 315gsm archival paper. Printed with a white border. Actual image size: (H x W): 30.4cm x 40.6cm. 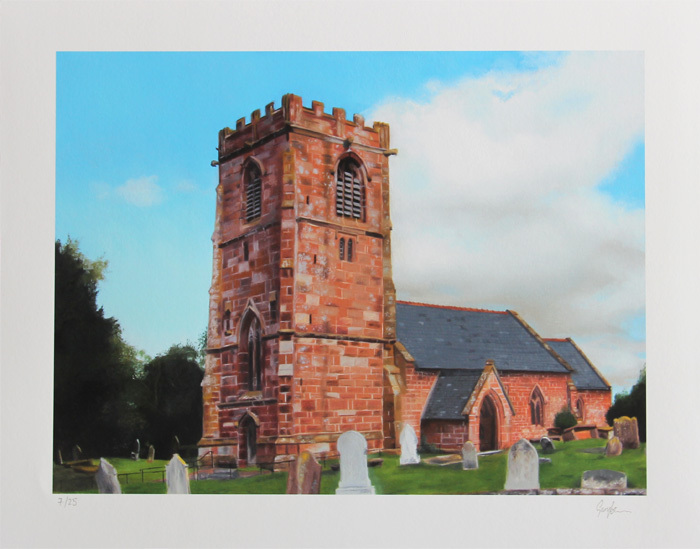 20% of sale price will be donated to All Saints Church. 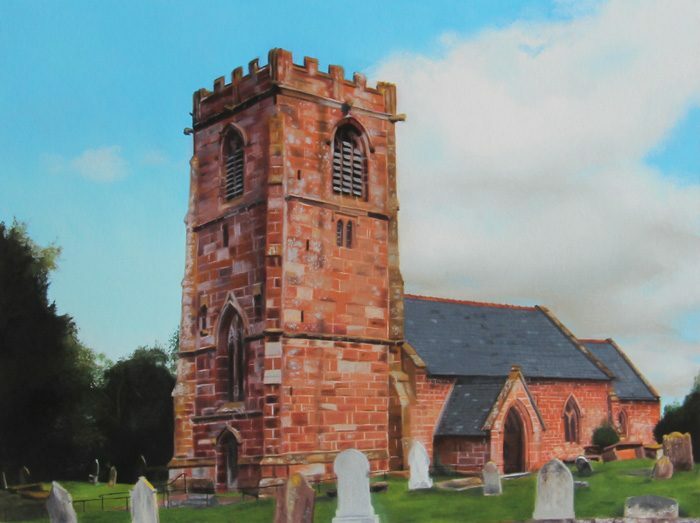 The image is taken from the original oil painting on canvas of All Saints Church painted by Gary Armer. I have organised with the council at All Saints Church for 20% of every sale (£15) to be donated to the church to help with the conservation of this stunning place of worship. The prints are sold unframed and will be shipped carefully rolled in a parcel tube. 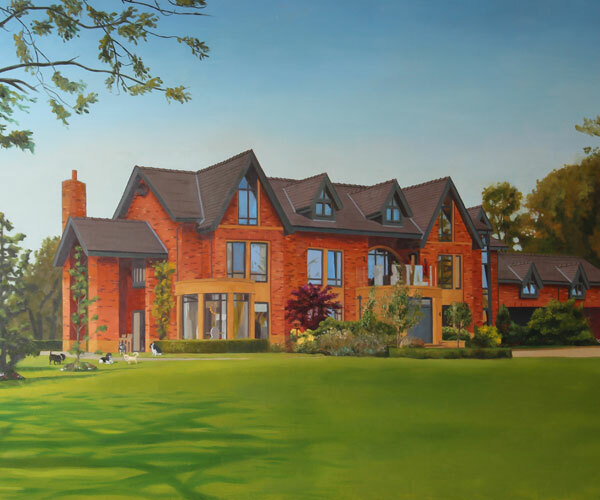 I offer free delivery to any address in the UK mainland. For international sales please email me for an accurate postage quote. 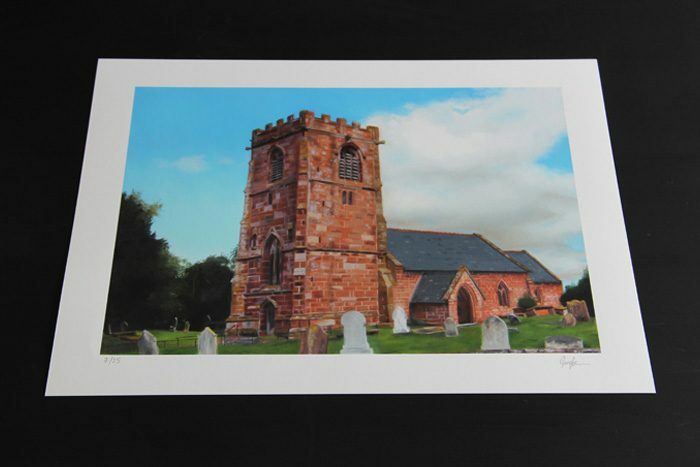 The prints are made from an image of an original oil painting of All Saints Church which I painted in 2017. 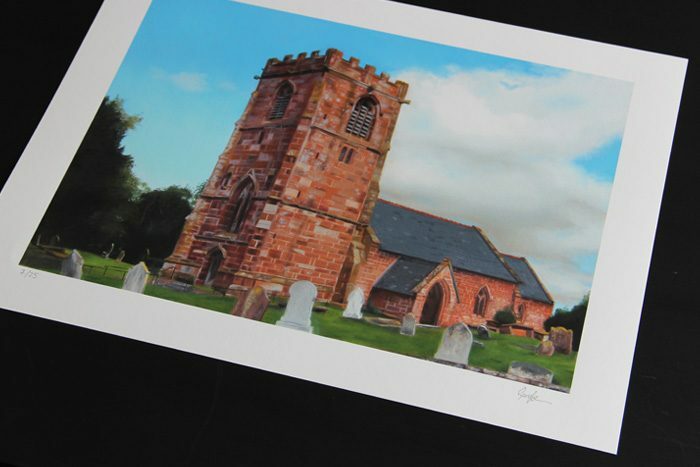 I developed the painting by first completing a plein air colour study of the church, church grounds and sky. I planned the composition by trying different thumbnail sketches of the church to determine the best viewpoint before setting up my field easel and canvas board. Working on a 12″ x 16″ canvas board (the same as the planned final painting) I was able to establish the main tonal shifts across the building and really understand the different colour variations of the sandstone. I took a series of reference photographs and managed to develop the colour study to a point where I was happy before rain stopped play! Back in the studio, the colour study was invaluable as I progressed what would be the final painting on a fine detail canvas. While it proved to be time consuming, I made the decision to accurately depict the stonework stone by stone. The light coloured mortar between the stones created some interesting grid patterns and a looser, suggestive approach wouldn’t have done this masonry justice. 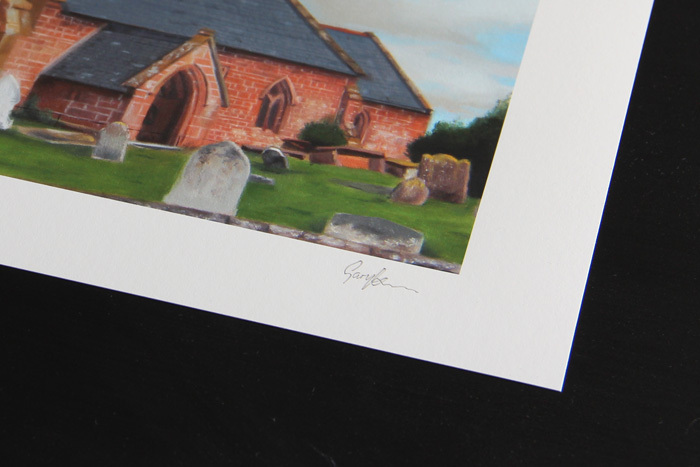 The details of the arched windows, gargoyles, castellated tower and gravestones were all great fun to paint and I think these details help bring the painting to life. If you would like to know more about this particular piece or organise a studio visit to see the quality of the prints in person then please don’t hesitate to get in touch.